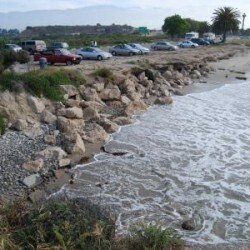 Goleta Beach is in the news again – there are moments when this feels almost as cyclical as the high tides crashing into a rock seawall. After all, EDC has been talking about one seawall project or another since 2000. Well, the Coastal Commission is scheduled to hear this one more time on Wednesday, May 13th and this is the big one. Commission staff has recommended keeping the rock wall in place for decades to come – while monitoring to see if there are environmental impacts. Unfortunately, evidence that EDC presented to the Commission this week demonstrates clearly that the impacts are happening now. If we are to protect the sandy beach all along Goleta Beach, action must be taken – not 20 years from now, but now. In my email earlier this week I talked about how it doesn’t matter which side you are on, we all share a deep love for this incredible spot. If you want a family picnic along the beach, a safe, family-friendly day at the coast, time out on your stand-up paddle board, or the chance to soak up the sun, there is no better place than Goleta Beach. Everyone in this debate wants the same thing – to protect both the park and the sandy beach. My hope is that when people see the evidence that EDC offered to the Commission, we can all take a step back and recognize that protecting the future of this coastal jewel is entirely in our hands. What is the evidence? 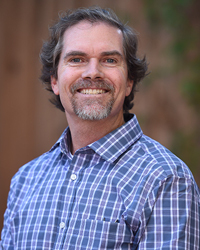 I will be sharing a lot at the Coastal Commission hearing next Wednesday (1-5 PM at 105 East Anapamu Street, 4th Floor, Santa Barbara) and I hope you will join me to show your support. 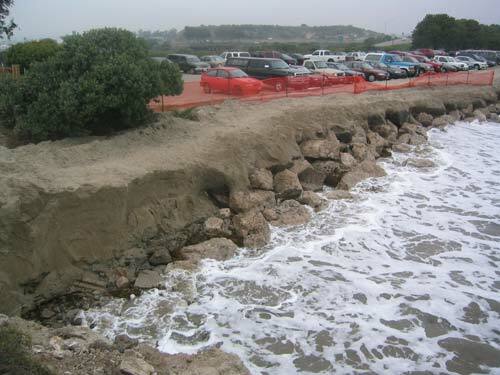 But in short, the rock seawall on the west end of Goleta Beach (closest to UCSB), which the Coastal Commission erringly believed is most often covered, is in fact regularly uncovered. And when the high tide rolls in, it rides all the way up to the seawall, meaning when the tide is in, there is no beach! As we have been talking about for years, seawalls may stop the tide from moving forward in one particular spot, but they increase erosion just past the rocks. Seawalls redirect waves’ energy into the sand, carving away our precious beaches. So, this is a problem right now. If you are walking the beach at high tide, you will need to climb up the rocks, work your way through the parking lot just to get up the bluff trail. And this is just the beginning. If we don’t take action now, this will only increase with time. And of course, people are not the only ones who love Goleta Beach and again unfortunately, we are already seeing negative impacts to our coastal wildlife. We will demonstrate in front of the Commission next week, habitat for rare shorebirds, grunion, and other wildlife is already being lost due to the seawall. People on both sides are rightly concerned about protecting Goleta Beach but only by asking the Commission to act now can we ensure that we keep this whole beach and protect Goleta Beach Park. Oh and one last thing. If it’s the money you are worried about, you must remember that the County is sitting on $900,000 in federal funding for just this project. If we don’t do this and solve this problem now, they will need to give this money back to the feds. Talk about letting the tide wash away what we need – much like what will happen to Goleta Beach if we don’t ask the Commission for help next week. If you want to help – here’s how.